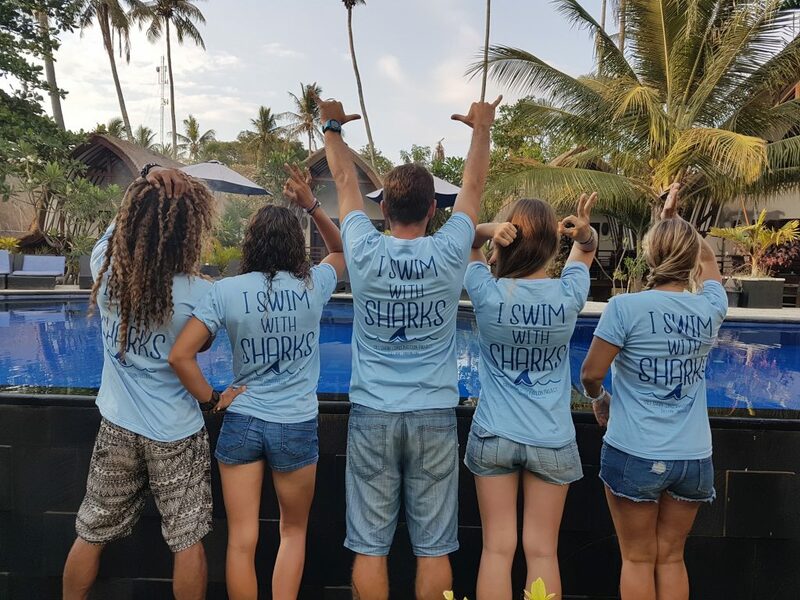 In early 2019 the Gili Shark Conservation Project adopted a new method to assess the health of the environment within the different zones of the Gili Matra Marine Recreational Reserve. The UNESCO-IOC and the Indonesian Science Institute wanted to create a standardized method to be used in Indonesian Coral Reefs and so they created the Coral Health Index method. They then trained our research team as well as other research facilities in Indonesia in how to carry out this research and analyze our findings using this uniform technique. We use the Coral Health Index method to monitor reef health and detect changes by comparing coral coverage and reef fish populations in a range of different sites. Coral health index surveys are easy to replicate and scientifically valuable making this method a worthy technique to use in supporting our research objectives. Every member of our research team has an important role to play whilst conducting each survey. We descend together on selected reefs within the marine protected area to a depth no greater than 10 meters and from there we get the ball rolling. One team member is responsible for setting a 50 meter line at a consistent depth along the ocean floor by following a compass bearing. Behind this person are two other members of the team, one is responsible for carefully holding a quadrate frame along every meter of the line while their buddy takes a picture of the substrate inside each frame. Once we reach the end of the 50 meter line we wait for a few minutes to allow any fish that have been disturbed by our bubbles to settle down again then we make our way back. One team member will follow the line back and record populations of reef fish species sited on the way while another person follows behind railing in the line. When we return to the office we use a program called CPCE to analyze the live coral coverage from each frame and once all frames have been assessed we can then calculate the coral cover percentage in the surveyed area. 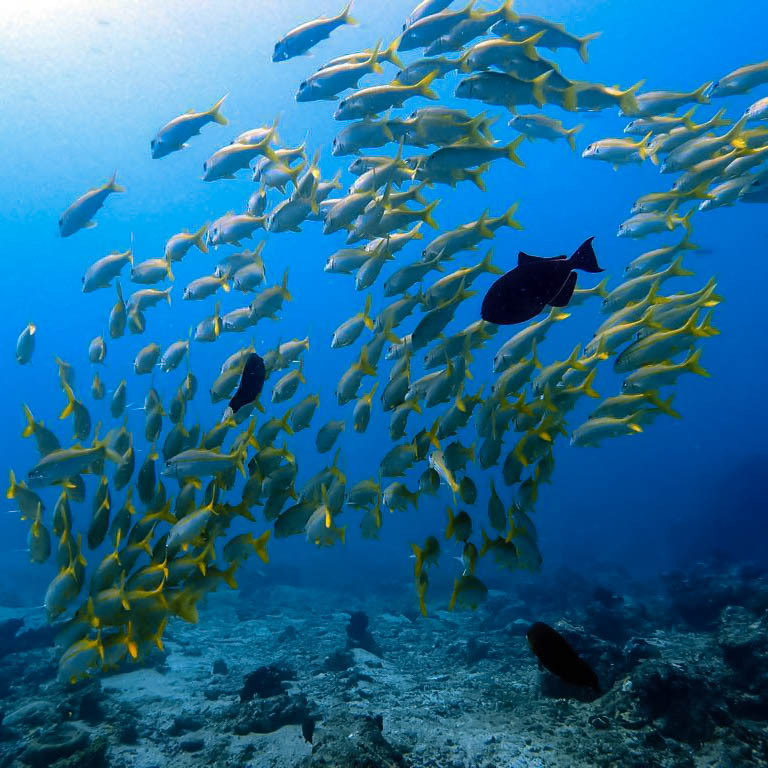 Along with this, we input the reef fish populations sited at the surveyed area and compare the two results to get a clear idea of areas that need better protection. Ready For A New Adventure? Join Our Research Team in Paradise! Would you like to learn more about marine research? We are looking for enthusiastic ocean lovers to join our research team in Paradise and make a difference on their next holiday. You don’t need to be a marine scientist or an experienced diver to get involved; we are simply looking for people with a passion for the ocean and eagerness to learn new things. If you are interested in getting involved and becoming part of the research team, apply today.